We know the nuts and bolts of the transportation industry and have designed our coverages to provide the best protection possible. Working with us, we can provide your agent access to the products you need to help you trust that you have the right coverage. 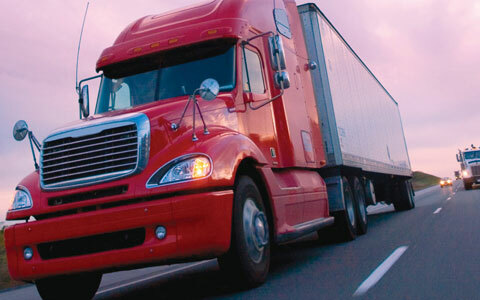 This includes the industry’s broadest cargo form for motor carriers. We also offer free state and federal highway motor carrier filings with same-day service if submitted by 2:30 p.m. Central time. Surveys have documented 98 percent customer satisfaction with our service. The product descriptions do not affect the provisions or coverages of any insurance policy issued by Northland, nor does it imply that coverage does or does not exist for any particular claim or loss under any such policy. Coverages depend on the facts and circumstances involved in the claim or loss, all applicable policy provisions, and any applicable law. Availability of coverage referenced in this document can depend on underwriting qualifications and state regulations. Texas Customers: Insurance provided by Southern County Mutual Insurance Company, administered by Northland Insurance Company.